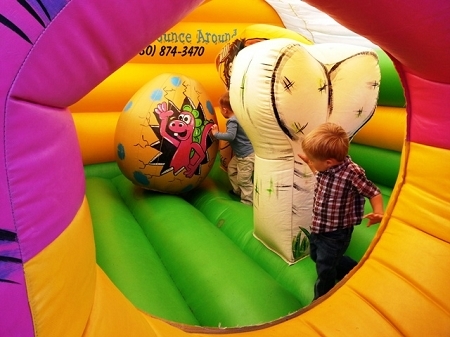 This Dino themed bounce and slide with obstacles inside made by Bee Tee in the UK. Very heavy duty material made to last. It is the inflatable only and does not include the blower or stakes. We used a 2hp blower on this unit.